Just a few weeks ago, I collected two boxes labeled, "cassettes" from my basement. And these boxes were full of.....you guessed it, old cassette tapes. Hundreds of them. Many of them old mix tapes spanning the last thirty or so years. Mix tapes. What a concept---a concept that is completely lost on this new generation of kids who know only their iPods. Kids don't make mixes for each other. They create playlists, to be sure. But these are not necessarily designed to share. The mix tape was a collective art form. Mix tapes were meant to share. They were meant to be heard by more than just the person who put it together. There was a certain amount of pride that went into the mix tapes we created. Mix tapes given as gifts contained cryptic messages in the form of songs, and much agonizing thought went into the creation of these. I pulled out an old Walkman and listened to some of my tapes. The tapes reflect me at certain times in my life. A diary told through song. 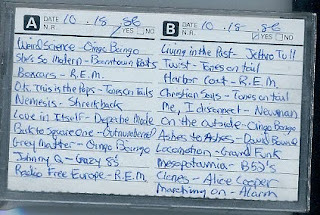 Listening to these tapes brought back memories of sitting in the bus, of driving to a friend's house, of parties, of driving alone through the neighborhood late at night. I want to share my tapes again. 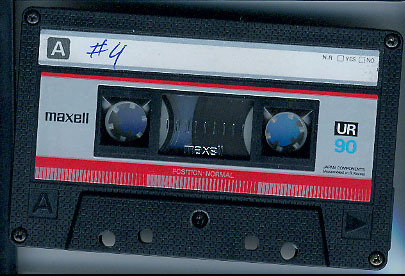 Tonight at 9 pm Central will be the first installment of "Mix Tape Memories." It will air every Friday night, live and commercial free. I will play one of my many mix tapes all the way through and comment a little on the songs and the history. So join us. But catch the stream early, since we are going live and without commercials, there are fewer "slots" available. But don't worry. If you miss it, you can catch it at a different time. The schedule can be found here. On tap tonight is "Many Songs #4." I know, not a very creative title. 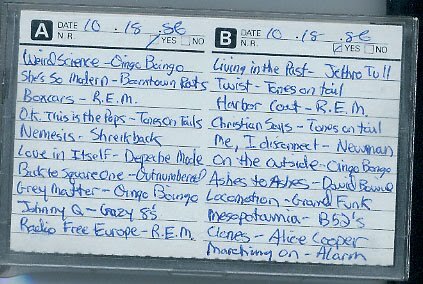 In fact, most of my early mix tapes are simply numbered. 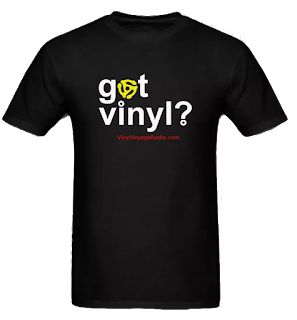 But that's alright, it's the music that matters. Oingo Boingo. R.E.M. Tones on Tail. David Bowie. Depeche Mode. Boomtown Rats. B-52s. Jethro Tull. Yes, that's the glory of Mix Tapes. You never know what to expect. 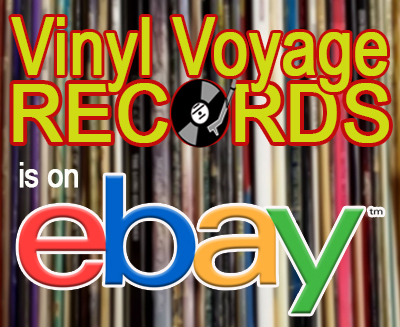 Mix Tape Memories can be heard Friday nights at 9 pm central only on the Vinyl Voyage. please welcome to the casino online all game!click here now to play,thanks you!